Spread Pick: Houston Rockets wins with handicap -11.5 at 1.90 Over/Under: Over 209.5 1.90 Bet Now! This is a game between two teams with opposite records, and it is easy to see that the smart money will be placed on Houston in this game. Yes, The Lakers are travelling with a 2-9 record to a team sitting with a 9-2 record but they are coming into this game on the back of a win, the 114-109 triumph against the Atlanta Hawks, so there may be some optimism in the travelling team. These two teams have already faced off against each other this season, with the Rockets grabbing a 90-108 win in Los Angeles at the start of the season. Losing their first home of the campaign was a blow for the Lakers but the loss of Julius Randle with a broken leg, which occurred in the 4th quarter of that game, was an even bigger blow. There was also an altercation between Kobe Bryant and Dwight Howard in the game, which means that there may be a bit of an edge to this game in Houston. The Lakers head out for three games on the road after their win against Atlanta and that match found Bryant in fine form. He grabbed 28 points against the Hawks, following on his season high of 44 points he grabbed against the Warriors a couple of days before. Houston though are looking to defeat the Lakers for a fifth game in a row, edging them closer to the longest winning streak in the series, which stands at 6. The Rockets will need to bounce back from a 119-93 loss at Memphis on Monday, which was a disappointing night for all concerned. James Harden struggled badly for points on Monday, but he has a strong career pedigree against the Lakers and he will be looking forward to this match. In fact, this pedigree is one reason why you think the Rockets will prevail with a good bit to spare in this match. Both teams have their injury concerns and while the Lakers are monitoring Kobe on a day to day basis, Ryan Kelly, Wayne Ellington and Nick Young are all considered to be out of this match. For the home side, Terence Jones is regarded as out while Patrick Beverley is being considered on a day to day basis. If you are looking for value, the Rockets at -11.5 is a great spread option and if you are keen to take advantage of the Over/under market, Over 209.5 points is likely to provide you with a good chance of a return. Bet Now! 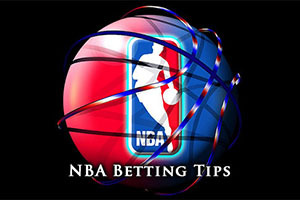 If you are keen to find more basketball betting information for the NBA games on Wednesday night, including the highly anticipated clash between the San Antonio Spurs and the Cleveland Cavaliers, there is plenty more on site.